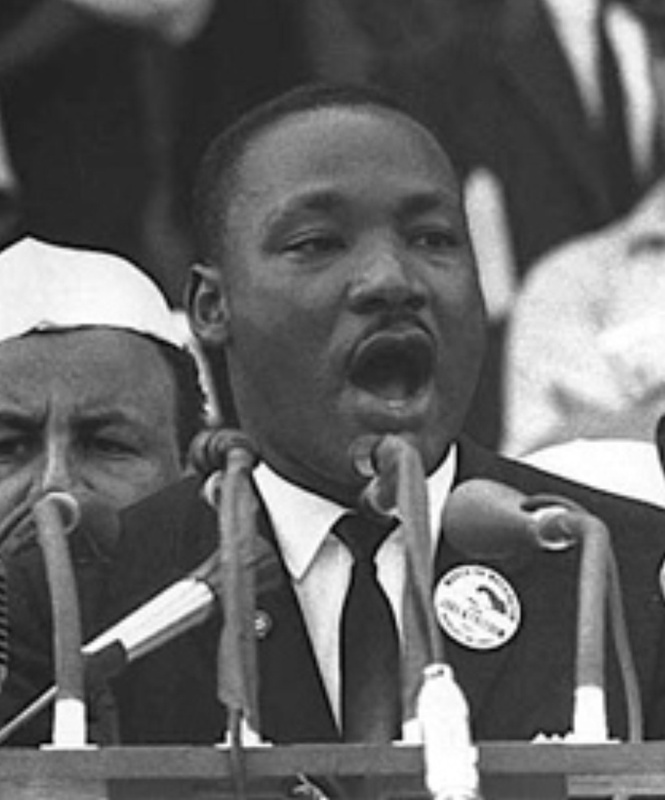 Yesterday marked the 50th anniversary of Martin Luther King’s “I have a dream” speech. While Dr. King may not have had spin class on his mind when he penned those words, nonetheless, there I sat on the anniversary of arguably the most historic event of the civil rights movement in a room full of women, all colors and creed. I’d say all sizes and shapes but with the exception of me and one or two others most had bodies the chicks from Bay Watch would envy. About three months ago, I started taking a spin class once or twice a week just to shake things up with my workouts. Not familiar with spin? Basically, you are in a dark room on a stationary bike peddling your legs off to the beat of the latest hip hop tracks sweating like a Coke bottle at a Fourth of July picnic. After that first spin class, um, let me give you the Rated PG version, there were muscles in my body that no type of physical exercise had ever made sore. You can use your imagination as to which specific muscle group I am referring. Anyway, during that first class, I literally thought I might die. I had sweat dripping from my eyelashes. In fact, when I caught my reflection in my car window as I tried to heave my exhausted body into my SUV, I noticed the sweat had caused my mascara to run down my face like I had been squalling. Maybe I had, it was an intense workout. I surveyed the parking lot as the other ladies hopped in their cars, ponytails and makeup still intact. Good grief. I hated those women with their perfectly toned abs and glutes. They could never understand what I was going through. I felt like the fat girl in middle school gym class all over again. Maybe he had spin class on his mind, after all? 2 Corinthians 4:16-18 Therefore we do not lose heart. Though outwardly we are wasting away, yet inwardly we are being renewed day by day. For our light and momentary troubles are achieving for us an eternal glory that far outweighs them all. So we fix our eyes not on what is seen, but on what is unseen. For what is seen is temporary, but what is unseen is eternal. Girl that was a good post. Valerie Kemp, you are simply AMAZING!! Is there anything you can’t do? I want to be at your book signing one day, and I just fully believe that. You can do anything and you look Fabulous!! Thank you for sharing your journey with us! !